Don’t let mosquitoes spoil Independence Day! LANCASTER – Fourth of July brings families and friends together to celebrate, have backyard BBQs and enjoy other outdoor activities. Unfortunately mosquitoes will be out and about as well. The Antelope Valley Mosquito & Vector Control District (AVMVCD) would like to encourage residents to enjoy the outdoors, while staying safe from mosquito bites and the diseases they can transmit. The West Nile Virus activity in California has been higher than last year. To date there was one human case in Kern County, as well as 223 birds, 282 mosquito samples, and 2 chickens in 18 counties that have tested positive for WNV. Residents are encouraged to continue reporting any dead birds to the California West Nile Virus Hotline at 1-877-WNV-BIRD (1-877-968-2473) or online at www.westnile.ca.gov. Not all birds will be tested, but the data of dead bird clusters is vital in tracking and controlling the virus. West Nile Virus is transmitted by the bite of an infected mosquito. Although most people that are infected do not show any symptoms, West Nile Virus is a potentially debilitating disease. Even ‘mild’ cases of West Nile Fever can cause patients enormous pain and discomfort for months. DRAIN all standing water – Empty out small containers at least once a week, keep pools and spas chlorinated or drained, and repair all water leaks. Conserve water and prevent mosquito breeding. DUSK and DAWN – are peak activity times for mosquitoes. DEFEND yourself – wear long sleeved shirts and pants and use mosquito repellents containing DEET, Picaridin, Oil of Lemon Eucalyptus, or IR3535 when outdoors during mosquito activity. Always follow instructions on the product label. Keep tight fitting screens on doors and windows to prevent mosquitoes from entering homes. Get FREE mosquito-eating fish (Gambusia affinis) for fish ponds, pools, and horse troughs. 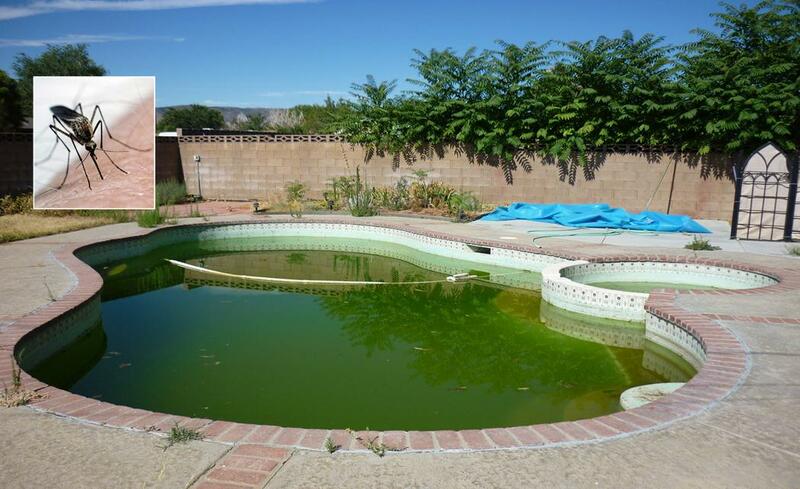 Report stagnant pools and other backyard sources to the AVMVCD. Report dead birds by calling 1-877-WNV-BIRD (877-968-2473) or online at www.westnile.ca.gov.